The Ministry of Lands and Natural Resources has fined Shaanxi Mining $50,000 for breaching Ghana's mining regulations which led to several lives been lost in a mine blast few months ago. The Inspectorate Division of the Minerals Commission of the Minerals Commission, in its report, said the violation of the regulations led to the deaths of 16 persons at the Yenyenya and Pubortaaba Mine sites on January 22, 2019 at Gbane in the Talensi District of the Upper East Region. The fine was part of sanctions recommended in the report which has been approved by the Ministry. It found the company guilty of not recording a blast in its shift log book. It said the company also failed to adhere to the code of safe work practice for blasting, illegally stored explosives underground, failed to serve blasting time notices to mining community and appointed a supervisor, who could not communicate effectively with his team. It also recommended the dismissal of the foreman, Asibi Seidu, for abandoning his post. The Underground Mine Manager, Thomas Tii Yenzaya, is to be sacked for using explosives that were untraceable in the books. 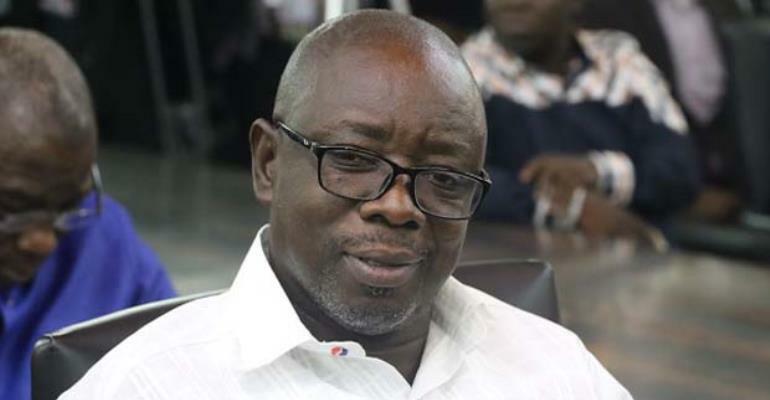 At a press briefing in Accra on Tuesday, the Minister, Kwaku Asomah-Cheremeh, said the findings showed that Shaanxi Mining Limited conducted blasting at the two mining sites between 10:00 pm and 10:45 pm on that day. He narrated that prior to the blast some unauthorized persons allegedly entered the underground to work at around 8 pm. However, in a pre-blast inspection, about 70 illegal miners were flushed out of the underground on level 2 and subsequently two persons were arrested. “A total of 627 holes were drilled for blasting, 622 explosives, 622 Maxnelshock tube detonators and 32 bags ammonium nitrate fuel oil (ANFO) were used for blasting at 25 faces,” he said. He also indicated that more unauthorized persons entered the underground tunnel soon after the first explosion. “A post blast inspection was carried out at about 11:30 pm and a group of illegal miners were seen carrying sacks suspected to contain stolen ore. Eight persons were arrested. The arrested people were not employees of Shaanxi Mining Ghana, Yenyeya Mining Group or Pubortaaba Mining Group,” the minister added. Mr. Asomah-Cheremeh said that the victims, who thought that the blasting was over, were caught up in the smoke from the lower levels. He mentioned that the company's procedure for blasting had not been endorsed by the inspector of mines from the commission, among others, adding that the supervisor of the underground patrol team could not communicate properly with his Ghanaian crew.